Well folks, I got transferred again and now I am serving in the City of Calapan on the island of Mindoro. 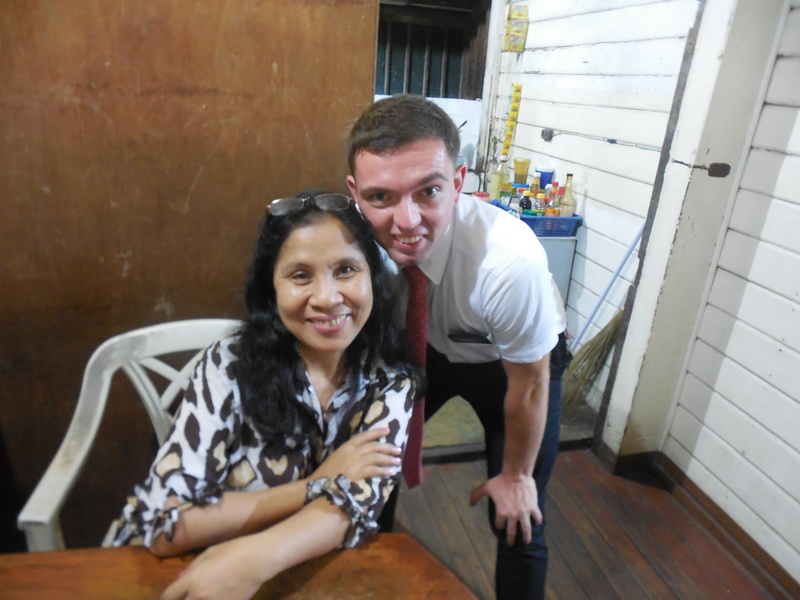 My new companion is Elder Pulido who has been on his mission six weeks longer than I have so we are at about the same point on our missions and we really are doing good work together. He is from the northern part of the Philippines, is 23 years old, and is the only member of his family. They pretty much disowned him when he joined the church but he knew it was true and serving a mission was the right thing to do. 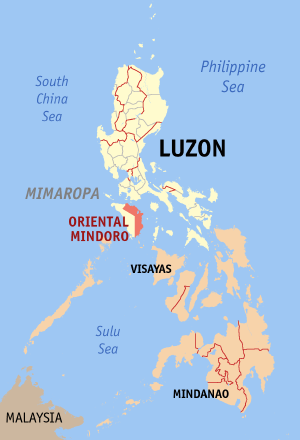 The Island of Mindoro is just South of the main island of Luzon. My transfer out to Mindoro was an adventure! We took a multi cab (which is kind of a smaller version of a jeepney) for two hours from Siniloan to San Pablo. From San Pablo we took a jeepney to Sto Thomas, Lipa. From there we took an air conditioned bus on a highway for an hour and a half – where I lost my wallet!!!! I then waited an hour at the ferry terminal, got on the ferry and sat for an hour and a half until I arrived on Mindoro. It was pretty cool except for the part where I lost my wallet. The ferry terminal is in my area so I didn’t have to travel far once I got off the boat! I am still serving as a zone leader, so we get to go to the mainland once a month to the leadership counsel and other meetings like zone meetings. The president and his assistants are coming out here for zone interviews though. After General Conference I made a list of my strengths and weaknesses and learned some cool stuff about myself. I then thought about things I want to make sure that my family does in the future, like Family Home Evening and family prayer morning and night and stuff. It is good to set goals and strive to live up to them. My last area was awesome and i miss people there a lot. There was a member that we called “mama”. I miss her. She made sure we were always fed and feeling ok. She was a doctor, so if there was ever anything wrong she hooked us up with medications and stuff. Following is a picture of one of our favorite investigators! We call the little girl “makulit”, which means misbehaved! She’s a Sammy Spaz. 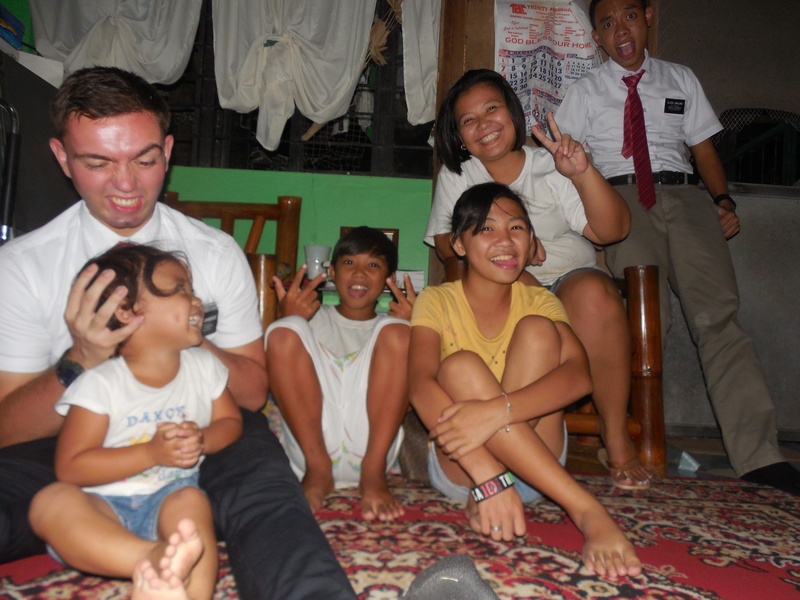 The Buquid Family and us missionaries. Well, I love you all – continue to stay close to the Lord through prayer and scripture study! I’ll send more photos next time.